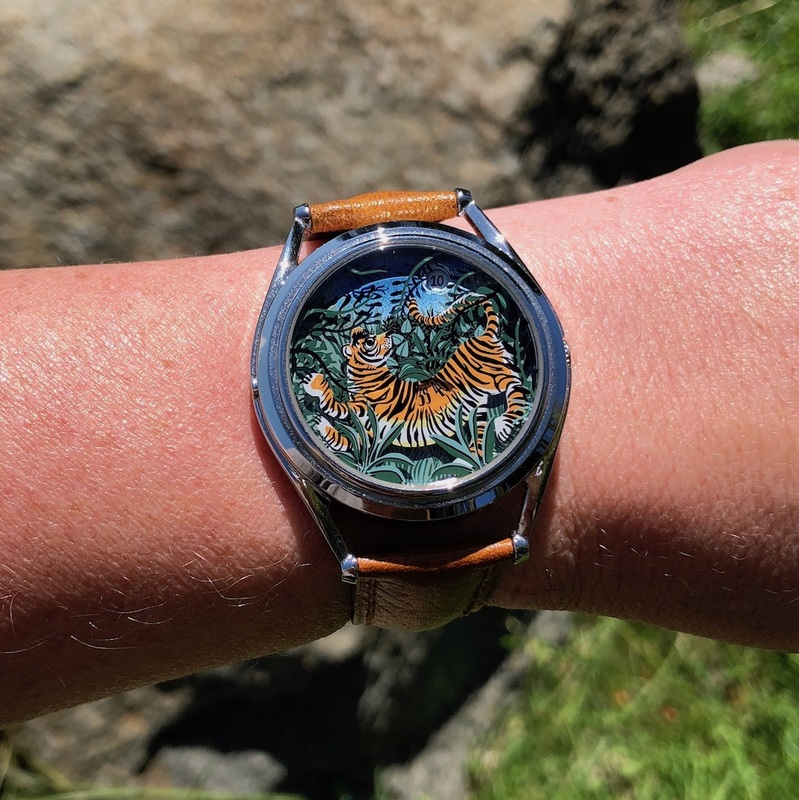 Mr. Jones Watches Brings Out The Hidden Art Lover In Us All. I’m not an “art guy”. Actually, I’m not even sure what that means. Can you even be an art guy, or gal? I suppose you can, and I’m most definitely not one. 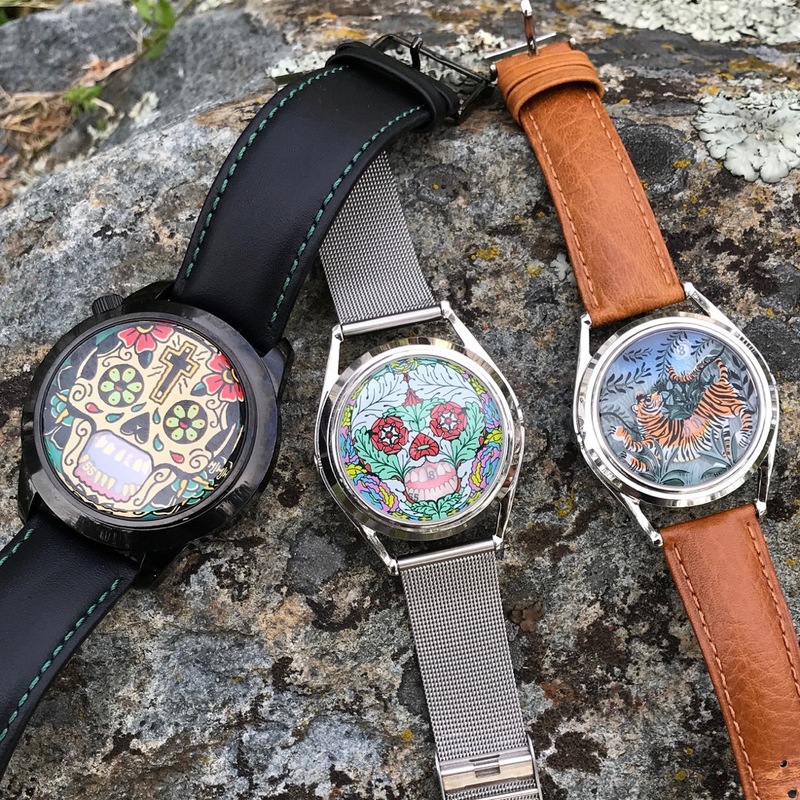 Which is weird, because in this day and age a watch is basically art for your wrist, and I’m head-over-heels – bordering on complete psychotic sickness – in love with watches. 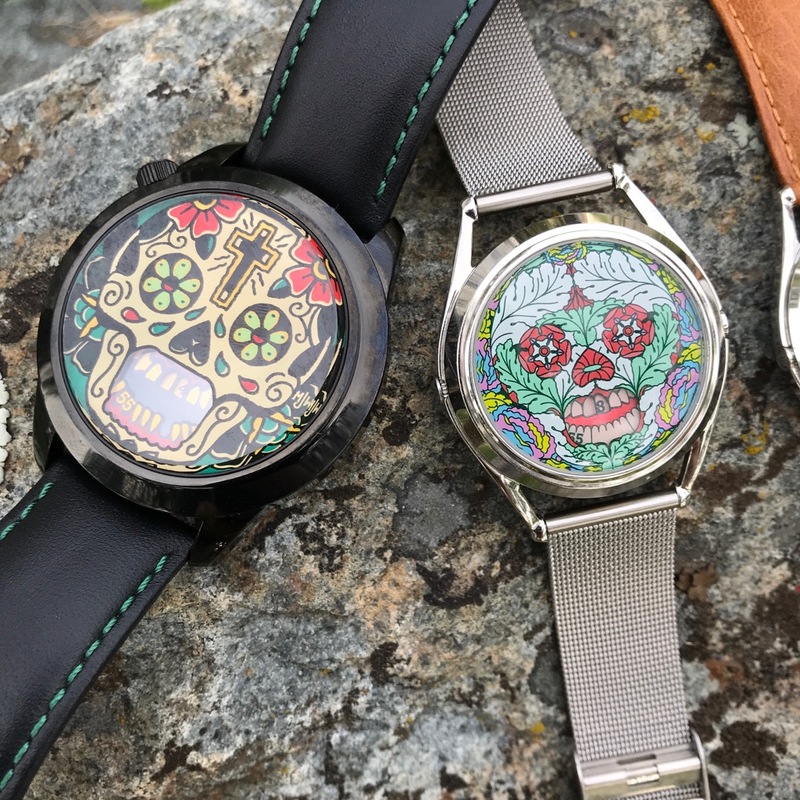 Mechanical art, visual art, whatever you choose to focus on, watches are basically completely useless objects of design. 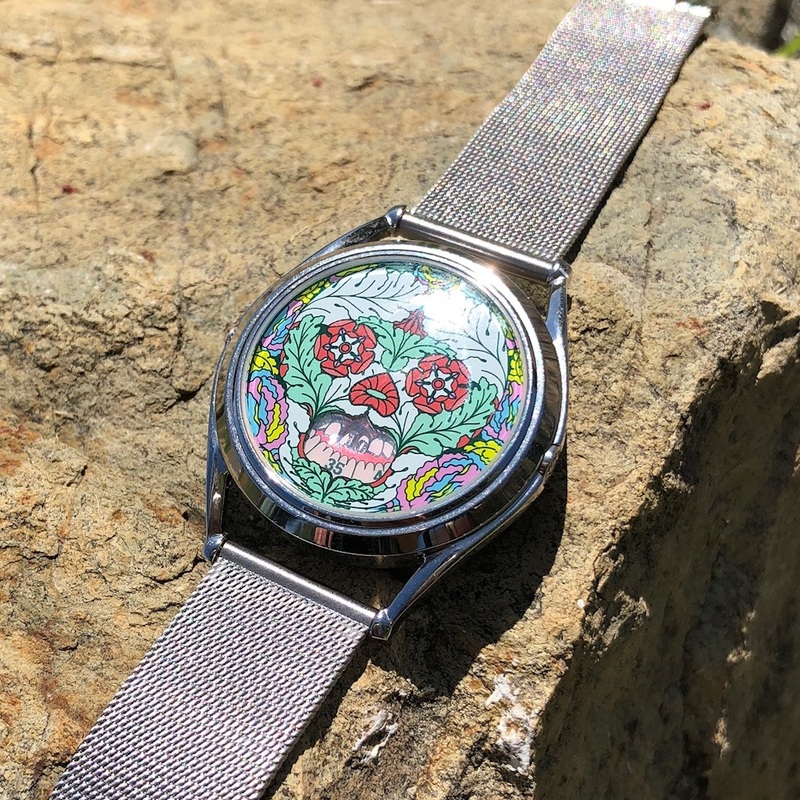 Now that we’re all in the correct frame of mind let’s talk about some of the coolest watches you can strap to your wrist. 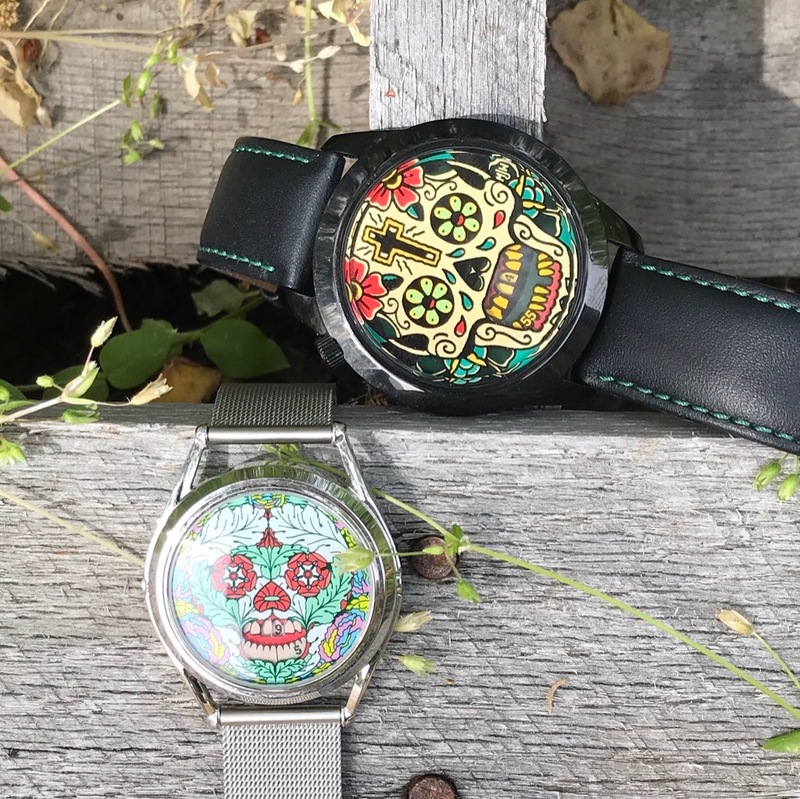 Enter Mr. Jones Watches. 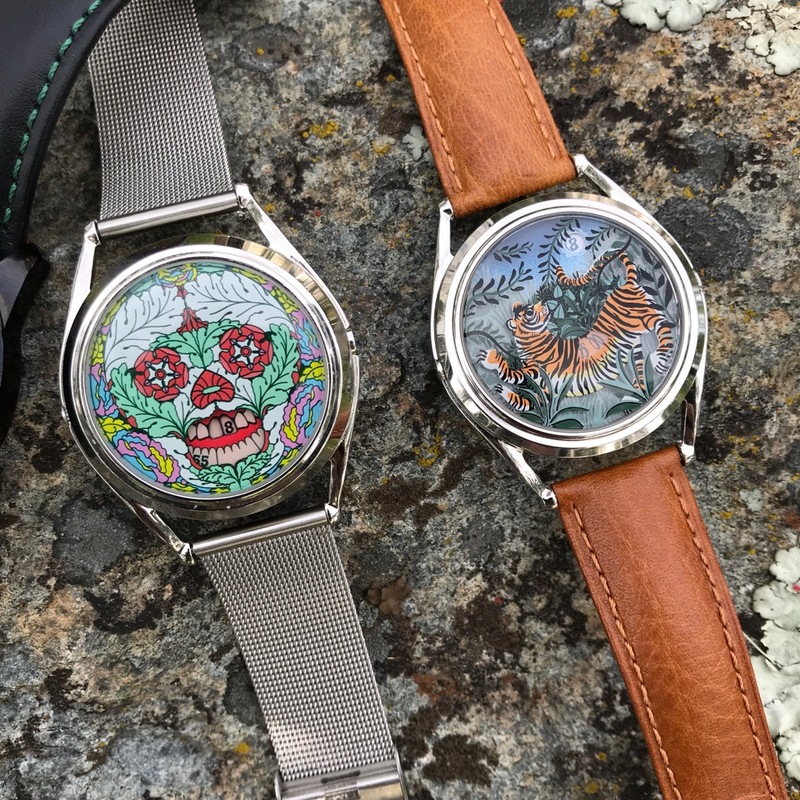 I first became aware of Mr. Jones relatively recently after reading an article on one of their offerings on another blog. 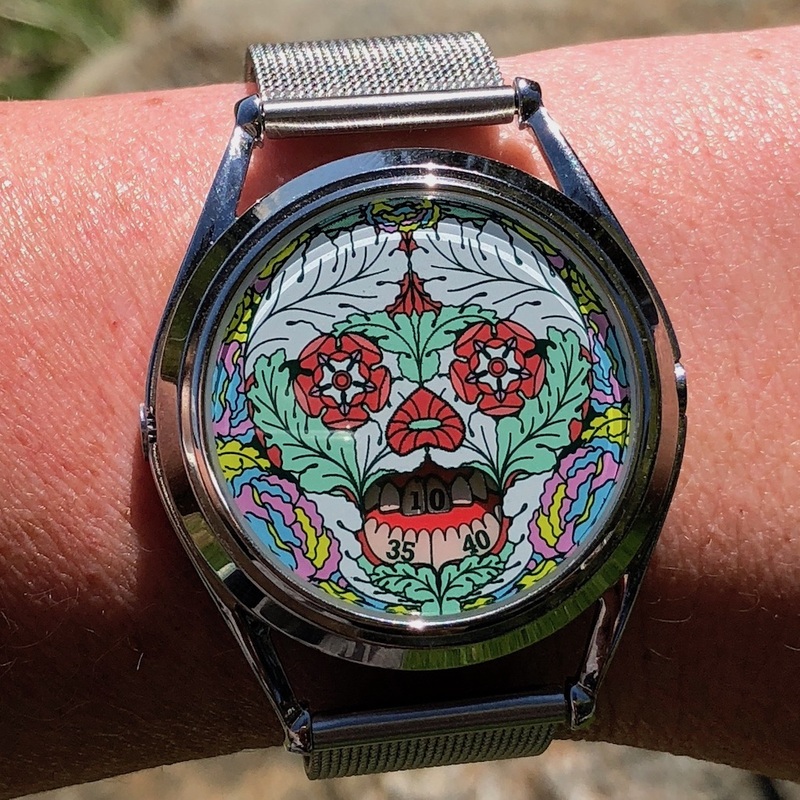 I’ve always considered myself a “serious watch guy” (again, not really sure that actually means anything), and as such, I shouldn’t have liked the Mr. Jones Last Laugh Tattoo XL. I didn’t like it…I loved it. So I did the only reasonable thing one can do in that situation; I bought one. 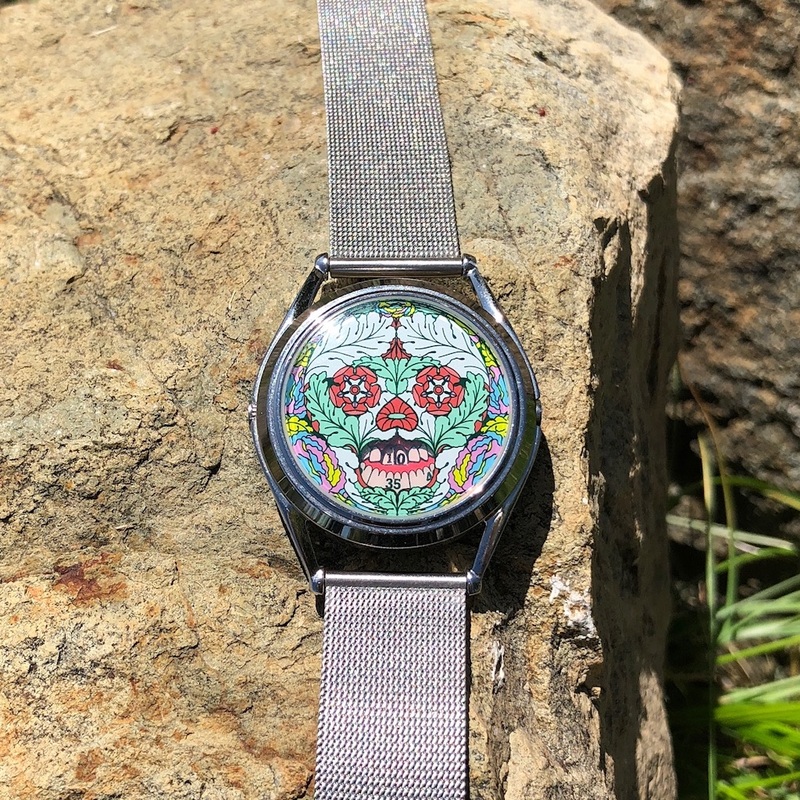 It’s a watch in my collection that allows me to communicate to those around me who happen to notice, “I don’t always take myself or my hobbies too seriously. 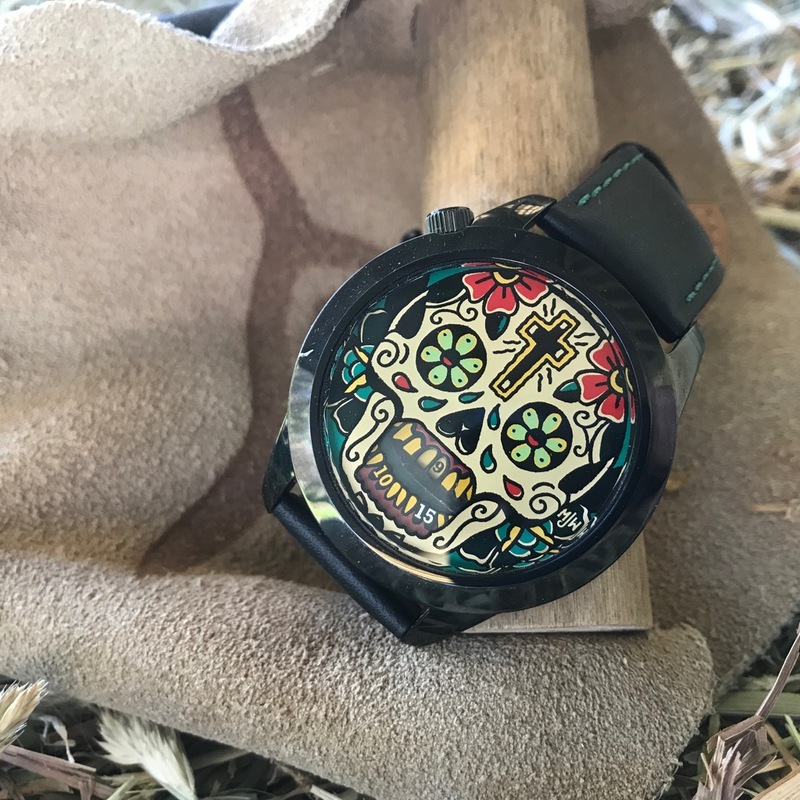 Sometimes I just want to have fun and wear something cool.” I look down at the Last Laugh on my wrist and I just smile. 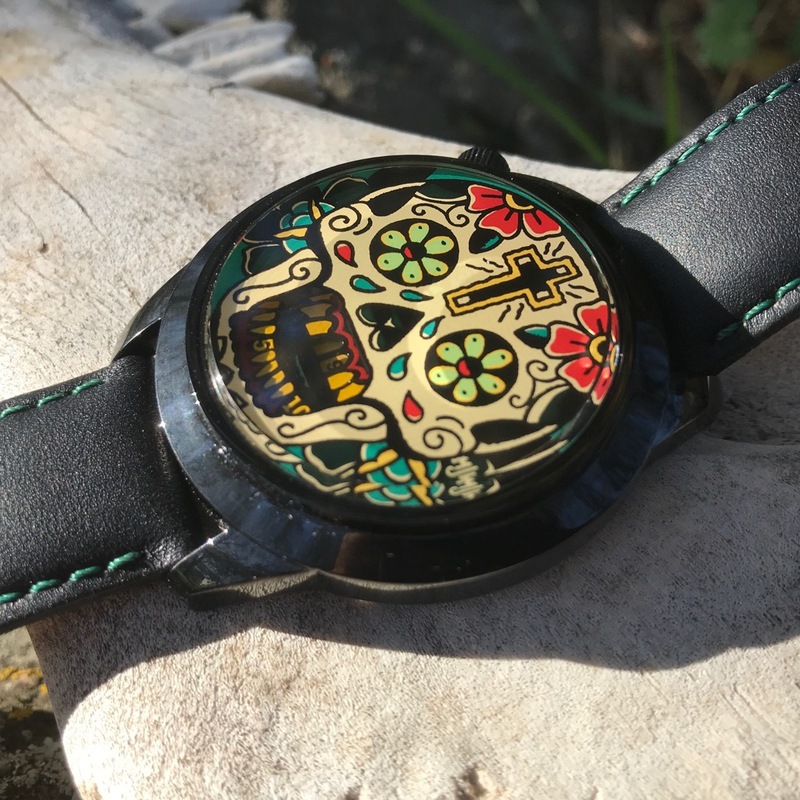 I wrote a hands-on review of the Last Laugh Tattoo XL for The Wrist Watch Review that you can read here. Now Perpetual Girl, on the other hand, could most definitely be considered an “art gal”. She has a degree in Art Education and is smart enough to appreciate what constitutes fine art and what, well, doesn’t. Where I only seem to be able to fire neurons in the left side of my brain, PG is quite effectively able to use both hemispheres, so when I bought the Tattoo she was immediately able to appreciate it for what it was. She then went shopping for herself and bought The Promise of Happiness, followed by the Last Bloom (basically a flowery, smaller version of my Tattoo). 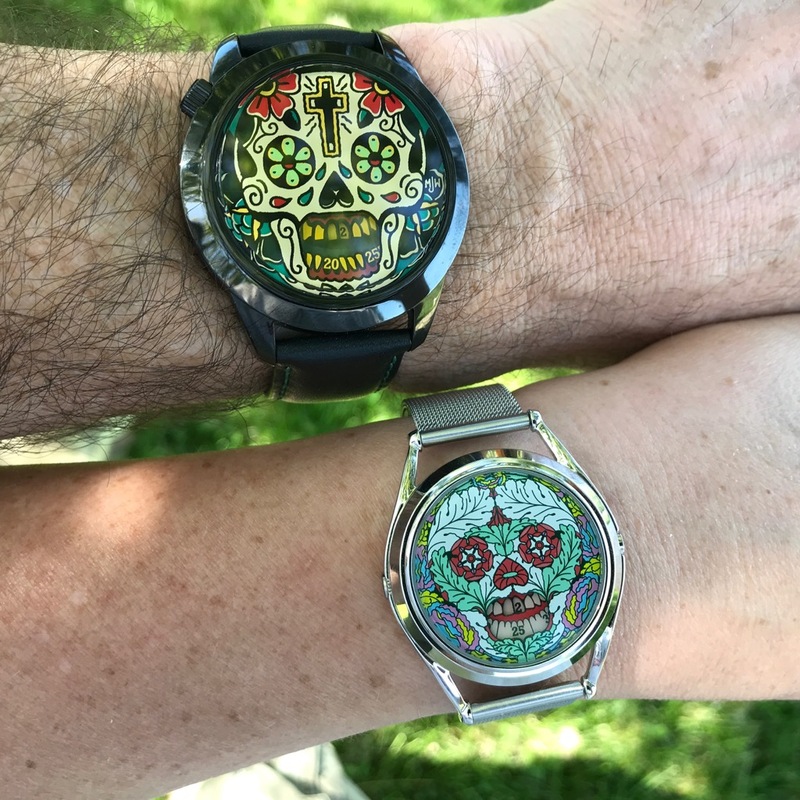 As you can see from the photos, Mr. Jones Watches are very unique in the way they go about feeding you the time. 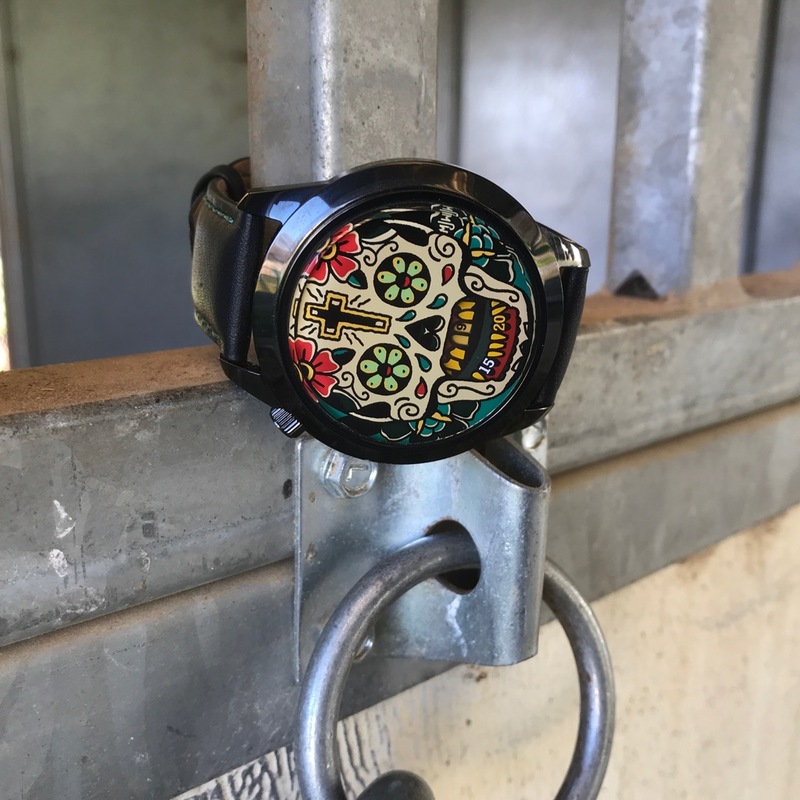 All of the pieces we’re looking at here use Chinese-made automatic movements, modified to tell time via spinning discs that are perfectly integrated into the overall design. 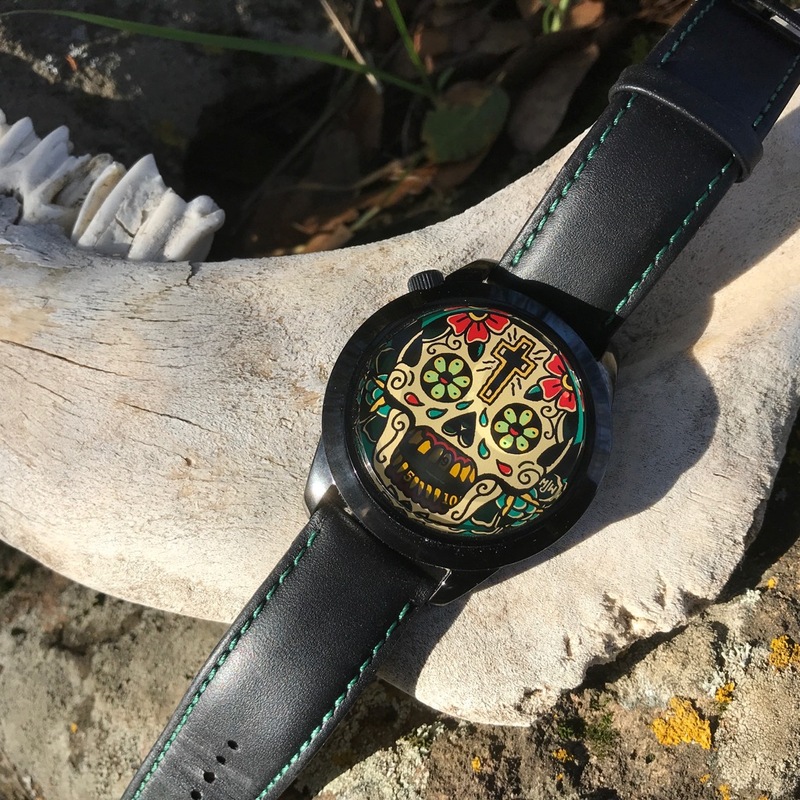 In the case of the skull-themed watches, the minute is displayed via the lower row of teeth while the upper teeth show the hour. 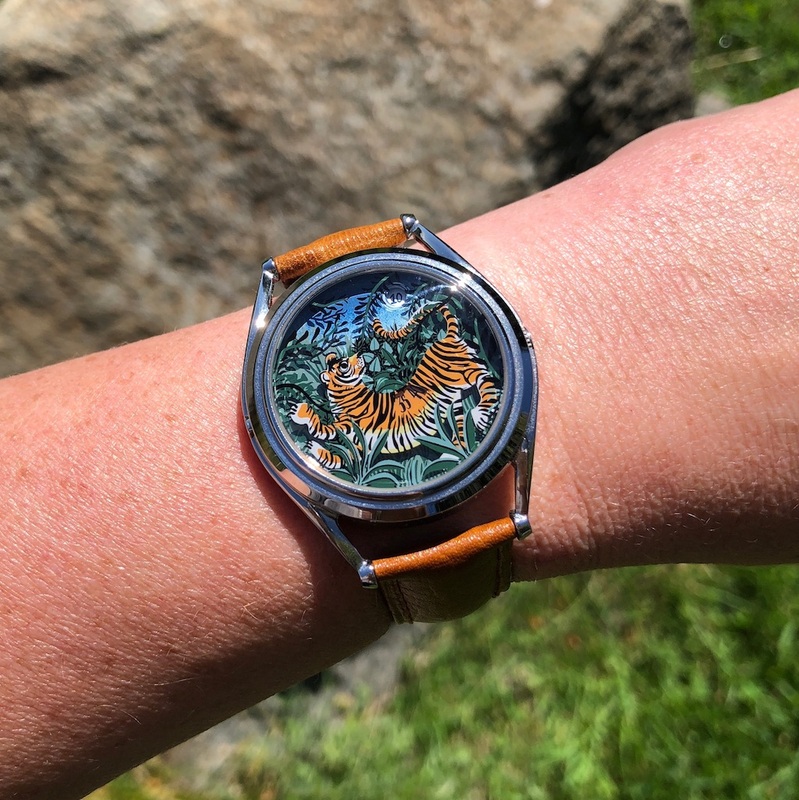 The Promise of Happiness depicts a tiger looking up at an evening moon that displays the hour, while the minutes are shown in the body of the tiger. Unless you actually know they’re there, at first glance the time telling windows almost completely blend into the design. It’s actually quite striking. What really sets this particular piece off are the multitude of layers. 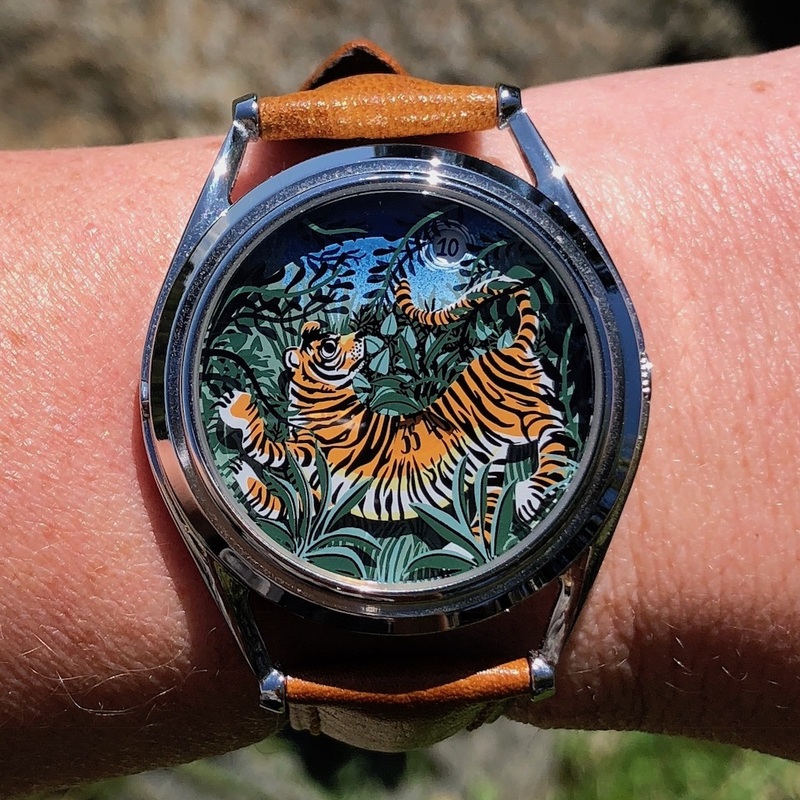 The hour window in the moon sits below the main dial, which is painted to look like the sky with green grass underneath. 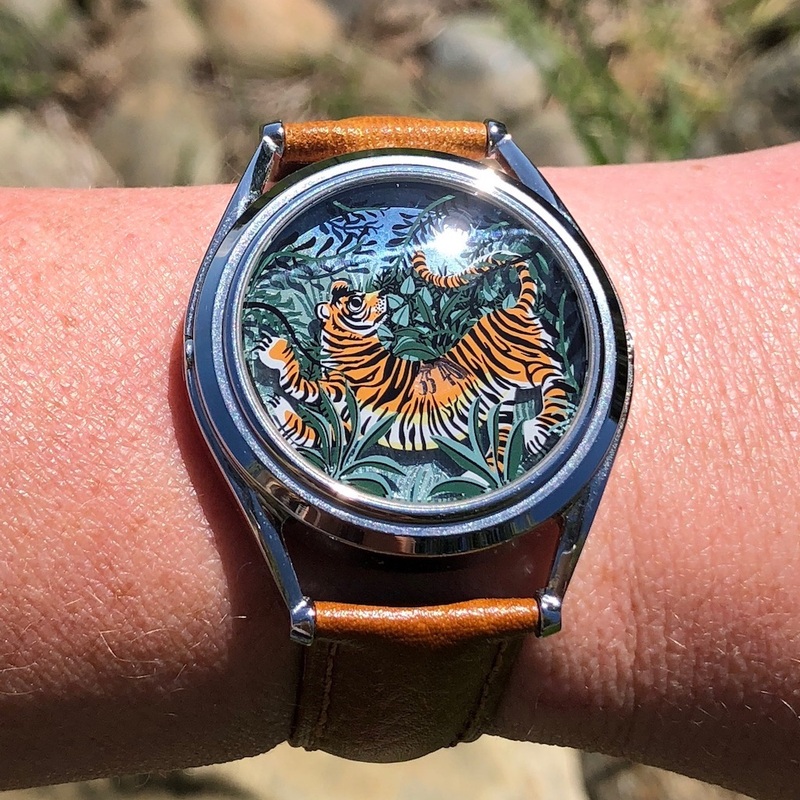 The orange minute disc actually sits on top of the dial, but is only visible through the body of the tiger due to the main portion of the scene being painted on the underside of the crystal itself. It’s a fantastic effect! 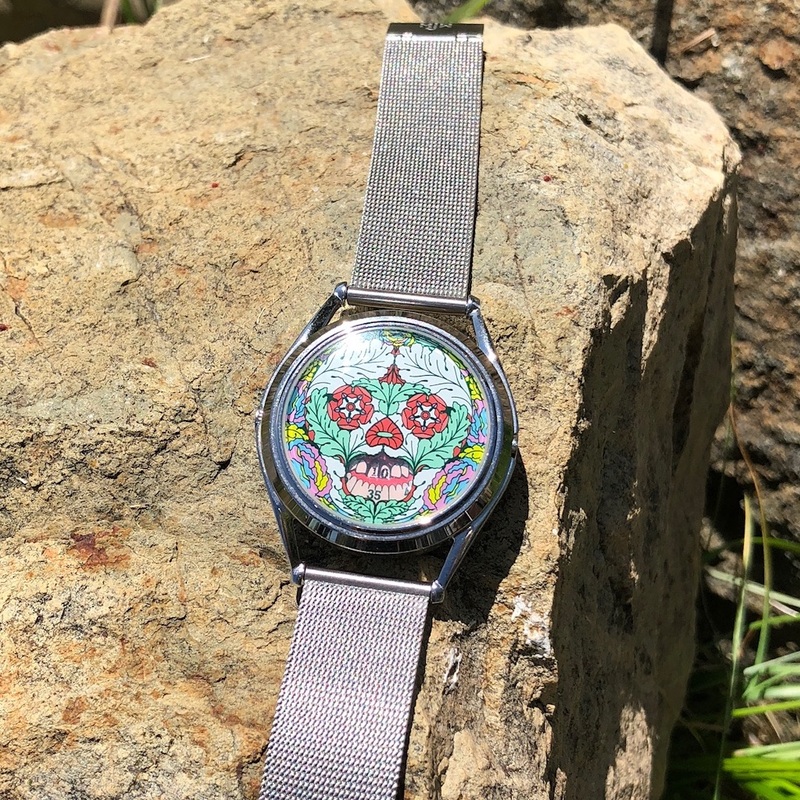 Both the Promise of Happiness and the Last Bloom check in at 37mm in diameter, perfect for the generally smaller female wrist. Perpetual Girl has a 6.5″ wrist. 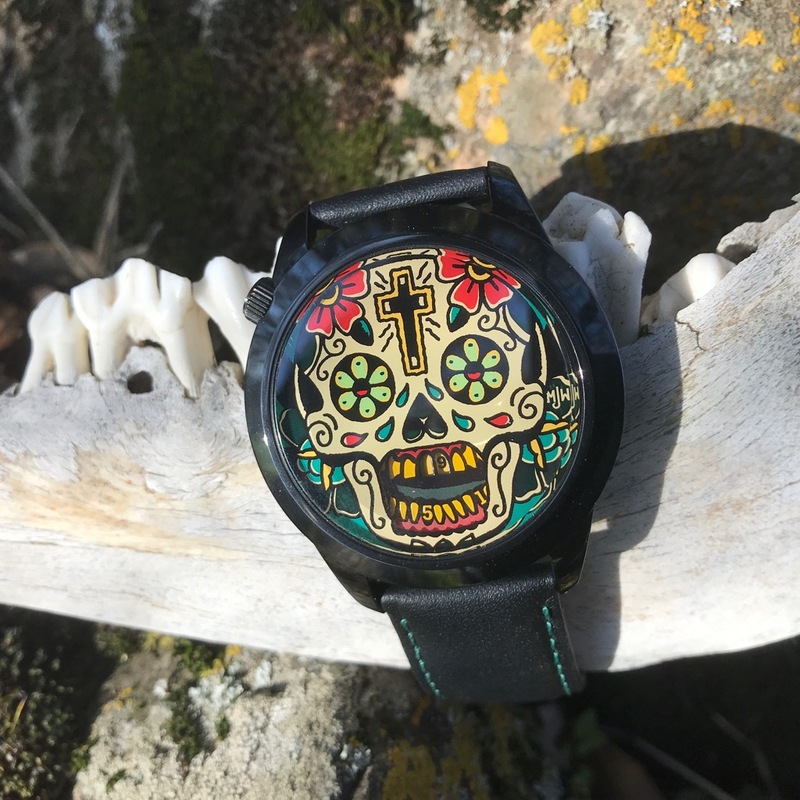 My Last Laugh Tattoo XL is a rather mammoth 45mm, but given the type of watch it is it looks awesome on my 7.5″ wrist. Due to the large size, it gets quite a few admiring glances. 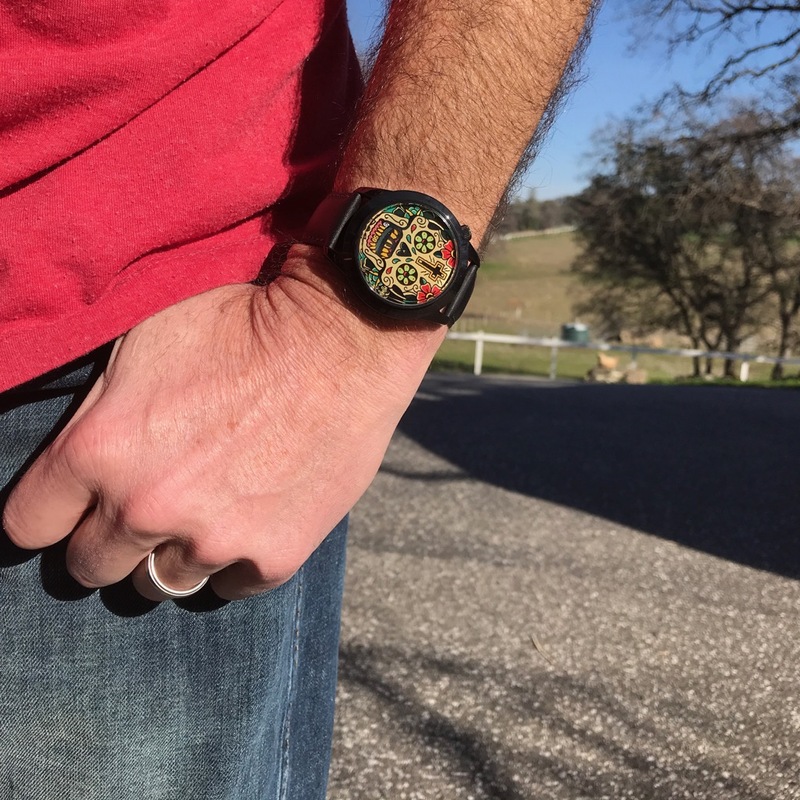 It’s one of the few watches in my collection that actually generates comments from the non-watch general public. 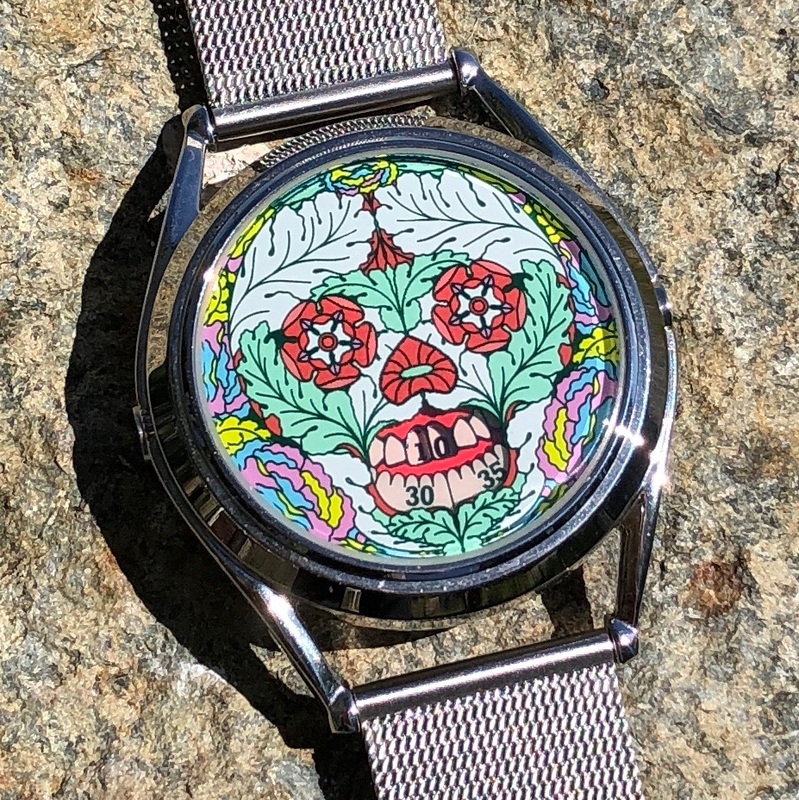 Would the author personally buy and wear? Read the article. In short, yes we would! 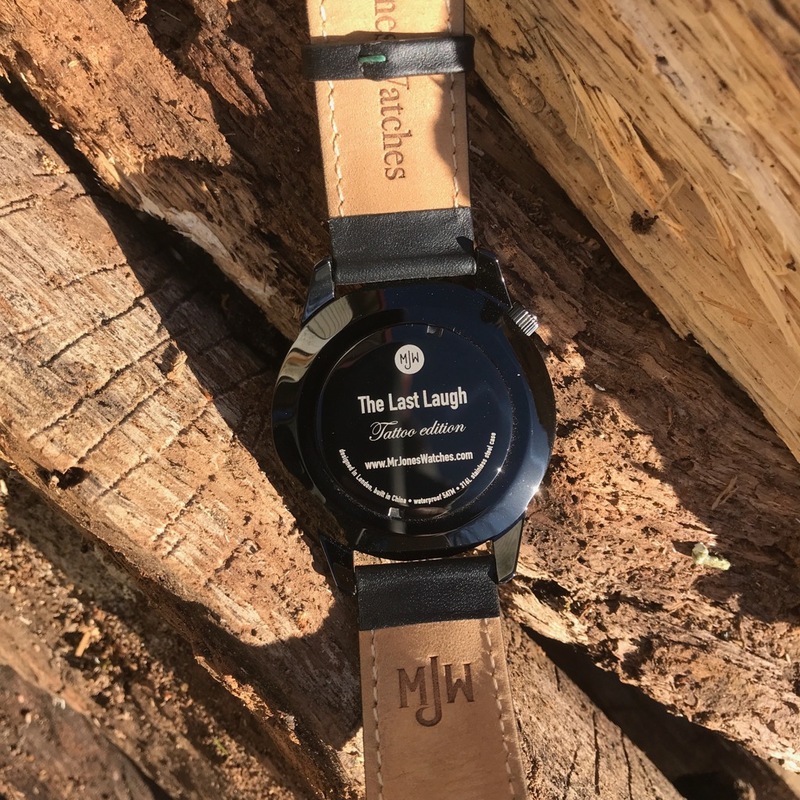 Strap: Leather with contrasting stitching and pin buckle on Last Laugh and Promise of Happiness. Woven stainless steel on Last Bloom.